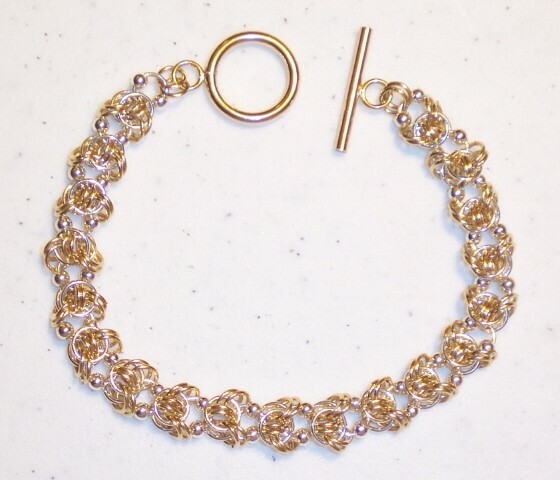 The Empressa Bracelet is a very flowing and delicate appearing bracelet. It has movemen t and shine. The bracelet is quite comfortable to wear and will bring you many compliments. It can be made in two tone predominantly sterling silver or two tone predominantly yellow gold filled. It is an intermediate weave. The clasp is not included in the kit.